The Messengers premieres tonight on the CW. The serialized, supernatural drama is a literal battle of good and evil. Five strangers die in the pilot, as a result of a meteor crash. They are resurrected, each gaining supernatural powers. The crash also brings the devil to earth, in the form of a mysterious character known only as The Man. It’s a real change of pace for Diogo Morgado the Portuguese actor who is best known for playing Jesus in both the miniseries The Bible and the film Son of God. At a CW press event, Morgado discussed why the show is unique, the differences between playing good and evil and why his version of the devil is all too human. Daytime Confidential: How would you describe the show to someone who hasn’t seen it? Diogo Morgado: The best way to describe it is, basically five desperate strangers, they die out of this energy wave and they come back to life with extraordinary abilities. Those gifts are also there burdens. With great power comes great responsibility and every time they use their powers, there are consequences. Why do they have those powers? Where do they have to use it? That’s the whole thing about this, God is testing humanity. It’s a show about our human perspective of good and evil. I think the biblical side of it plays really like a background, like it’s the end of days so we have to make these choices and humanity’s being tested through [the characters] tests. DC: In the pilot, The Man is very mysterious. How will his character be developed in future episodes? DM: He’s manipulative. Using the biblical side of it as a background, he’s definitely the bad guy. He’s the devil. The way he operates is quite interesting. He doesn’t possess any superpower. He can’t control people supernaturally. He can only use human resources to persuade them to do stuff or blackmail them for information that they might have against people, like “I know that you did this and this. You killed this person. Now you’re going to do this for me.” What I like about this character is the fact that everything he does is plausible. It’s something that we could see someone doing it. It’s not like, “Oh, this is exclusive of this guy.” This is like anyone, any lawyer, any person that is kind of wicked, or anyone that could be with bad intentions could use what he’s using. DC: Is one of the ongoing mysteries of the show what the Man wants? DM: We know how he got to earth. The question is, why he is there? Where does he come from? Is he coming from another planet? That’s the ultimate question. And even the sci-fi part of it, the actual meteor, it’s going to be a part of it. DC: Were the heroic characters deliberately targeted for their fate, or were they just in the wrong place at the wrong time? DM: It’s like in the [bible] story, God chose them. Like The Man says on the show, nothing is random. Everything is happening for a reason. That’s the plot of the whole show. Every time you think something is a random event, it’s not. There’s an intention going on that it happened there, that it was intended to happen that way. That’s really interesting, especially for people who like Agatha Christie. Everything might be a clue for what’s coming next. DC: Is this a literal devil corrupting angels? DM: Yes. That’s what it is exactly. The first couple of episodes we’re going to see it like he’s corrupting them, but then we’re going to see that it’s way more than that. Sometimes he’s going to try to use them. What I like about The Man is that he’s wicked and he’s really smart. He comes up with arguments that are quite valid. The audience will be like, “He’s quite right.” He says something in the pilot, "If you had the chance to kill a mass murderer, would you take it?" Imagine that you had a chance to prevent an assassination, like you know two days from now Bin Laden would kill 100 people and you have a gun in your hand and could stop it right now by killing him. Would you do it? So I ask you, if I put the gun in your hand, am I being a bad guy? The show is all about that. It’s ultimately up to you. You can do whatever you want. I’m not responsible for that thing. But he created the whole thing and he put you in that position. Now you have to choose. DC: One of the characters is a preacher. What will The Man’s relationship be like with someone who is a literal man of god? DC: Are we going to meet God at some point? DM: Not in the first season, I can tell you that. DC: Speaking of God, you are best known for playing Jesus in both The Bible and Son of God. Which is more fun to play, good or evil? DM: There’s no comparison. It’s like wine and water. For me, playing Jesus was not even a job. It was a personal, emotional experience, beyond important for me. It’s something that will define me forever and last long after I’m gone, so it’s so important for me. This, for me, is like going back to work, which is quite interesting. What is good about the fact that I played Jesus, and now I’m playing the extreme opposite, is that actually my own perspective of good and evil changed. I think it will be interesting to see my take and my point of view about evil in this world. The fact that my character doesn’t have any special power was the definitive thing that made me say yes, because if he had some sort of power, it wouldn’t be fair. It would be like, “Oh, I’m going to get you in your mind.” The fact that he’s a human being and it’s a plausible, understandable situation, he’s using what makes him human. That’s why he’s The Man. So it’s interesting to see from someone who played what I think is the ultimate love, of Jesus, to do the opposite of that and represent the worst and darkest part of humanity. DM: I have no idea. If I knew it I wouldn’t be here talking to you. I would be using it for something else. I’m not the conscious type. I’m not self-aware. I don’t take myself too seriously. I’m just here to try to enjoy because we don’t control anything really. DC: Did you ever draw from your own life for your performance as The Man? DM: I think so. If not on my end, every time I see the consequences of what The Man was doing. If he was trying to plant doubt in someone, I could see his struggle or her struggle in my own life. I was like that once. DC: Can you reveal any teasers? DM: I can reveal that they started out by being five messengers, but they’re not the only ones. The horsemen [of the apocalypse] will be involved this season. The pace is so fast and there’s so much stuff going on in the first season that it’s shocking. 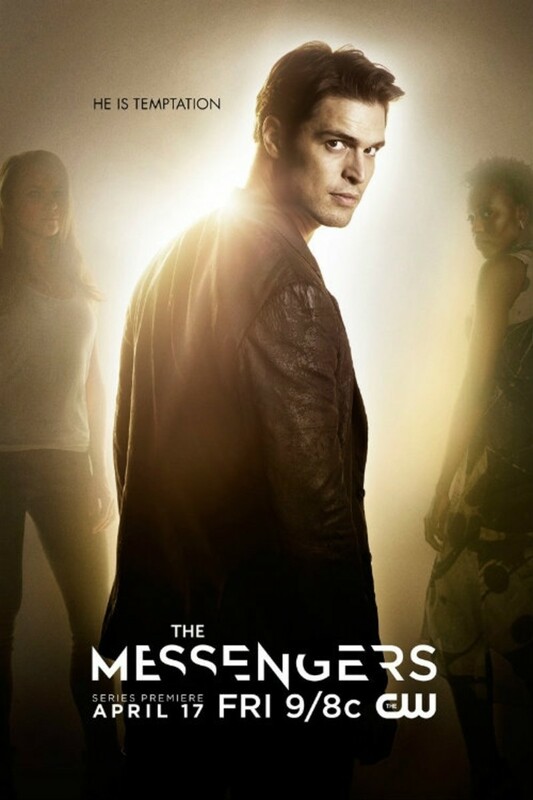 DC: Tell our readers why they need to sit down on Friday night and watch The Messengers. DM: This show is one of the only shows right now that might shift all perspective of good and evil, right and wrong, and that actually can raise questions about ourselves that we might be afraid of asking. 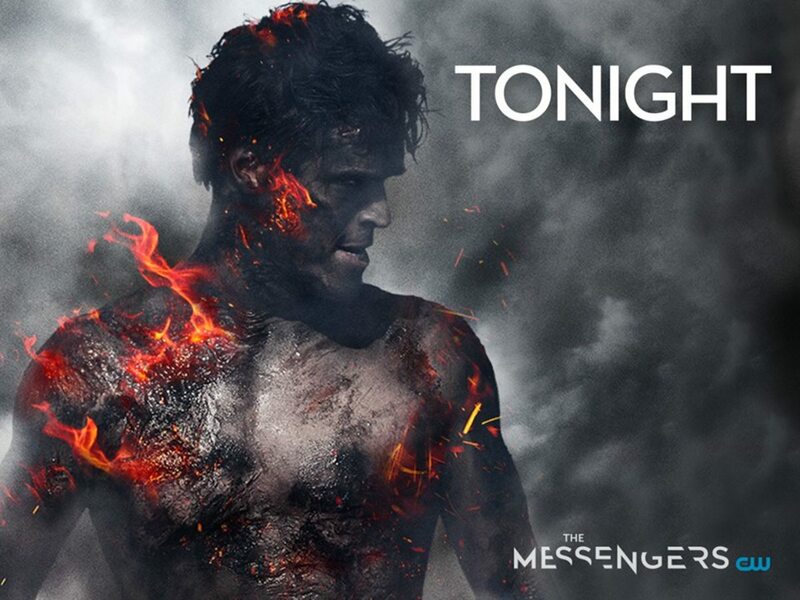 The Messengers premieres at 8/7c tonight on The CW. INTERVIEW: The Bold and the Beautiful's Kim Matula on Hope — "I Would Love to See Her Do Something Bad"